I’ve always admired women with flawless skin, and I’ve spent years trying to achieve the perfect dewy, glowing skin. Turning to tinted moisturisers, shading and bronzers to make my face appear more radiant. However, without the make up my skin is dull and it looks tired. I don’t have much issues with my skin, no acne breakouts, no sudden redness, no dryness, I have combination skin ( oily around the T-zone only). As an editor we are exposed to many types of beauty products and treatments, and I was really intrigue by the Chemical Peel that Skeyndor was offering. I have often seen women with beautiful flawless and radiant skin. I often dismiss that it was all achieved with makeup. But these women had flawless skin even without makeup, and I knew that they we taking care of their skin beyond a daily beauty regime. I decided to try the Skeyndor Derma Peel Pro which is a combination of 5 peeling techniques with high acid concentrations to help eliminate external skin layers with a goal to achieve optimum results for the perfect skin. I Skeyndor’s newly open wellness salon Cara, and was greeted by my Skin Therapist Nicole. She was extremely informative, helpful and answered all my questions. We’ve all heard the horror stories of redness, peeling skin and not being able to be exposed to the sun for weeks after a chemical peel. She assured me there would be no downtime, and that my skin would not peel. I was reassured, but still a little skeptical. What makes Skeyndor’s Derma Peel Pro unique is that during the treatment your face goes through a Pre phase (skin preparation), Peel Phase (Intensive Treatment) and Post Phase (skin recovery). 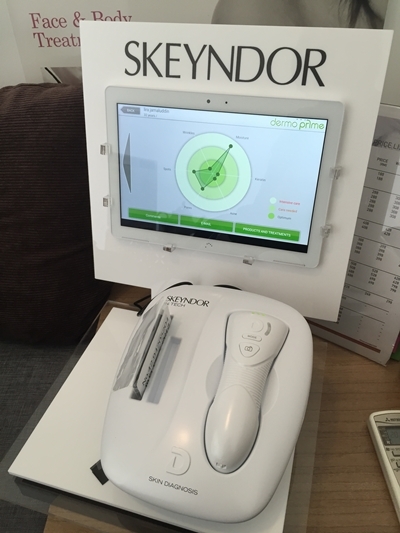 The Skeyndor Derma Peel Pro is much like a facial, where the skin therapist will start with a massage around the neck, head and facial area. They will cleanse you face followed by exfoliation. 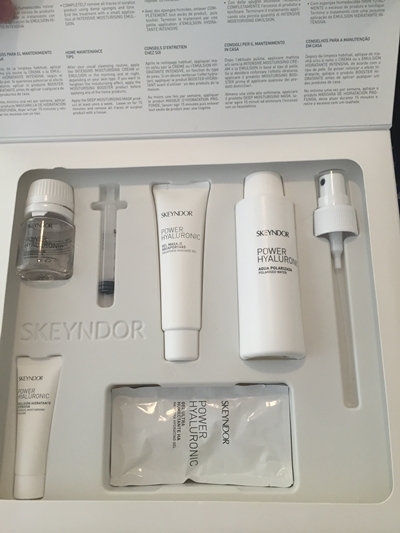 The only difference is at Skeyndor during this Pre phase they increase your skin’s moisture level. I was a little nervous when the acid for the chemical peel was applied to my skin, but the therapist assured me that it will be okay and I would feel a slight tingling sensation. The only thing I did notice was that the smell of the acid was very strong, but when applied there was very mild to no tingly feeling at all. Left on for 10 minutes, just like that it was done. The therapist then followed with the post peeling phase to bring back my skin’s moisture level back to normal. After the treatment my skin instantly had a healthy glow. There was no signs of redness, peeling or soreness at all. Instead my skin was glowing, refreshed, and fairer. The results are amazing. I was advice to go heavy on moisturising my skin, so I applied extra serum, and night cream for a week or so.. Just as the treatment promised there was no down time.. My skin appeared to look more radiant, glowing and refreshed as the days past. I stopped wearing foundation, and wore lighter tinted moisturisers or just loose powder everyday. My complexion improved tremendously, and I was extremely happy with the results. The Derma Peel Pro is only recommended for a maximum of six times. After achieving your desired skin goals, you can opt for a home skincare kit to maintain your stunning complexion.